It’s a new year, which probably means that you or someone you know is doing a Dry January. What exactly is Dry January? That’s when you swear off drinking for the month, sort of like a mini New Year’s resolution. It got its start as a public health campaign started by the UK-based charity Alcohol Concern UK in 2012. The group says that over 100,000 people signed up for Dry January in 2018 and 4 million took part, and the trend seems to be gaining in popularity each year. So why do people do Dry January? For some it’s a way to cut back after drinking more than the usual amount of alcohol over the holidays. For others, it’s more like a test of will — is it doable? Still others suspect they might have a problematic relationship with alcohol and want to find out if that’s true. If you are doing a Dry January, or thinking about it, here’s everything you need to know about having an alcohol-free month. It may encourage you to cut back on drinking even after Dry January is over. In an online survey funded by Alcohol Concern UK, a University of Sussex researcher asked people who registered for Dry January in 2018 about their drinking habits at the time of registration, the first week in February, and in August. About 800 people responded in August, and they said their drinking after January fell from an average of 4.3 drinks per week to 3.3 drinks per week. They also drank less per drinking session — 7.1 drinks compared to 8.6 before doing Dry January. And they said they got drunk less often — an average of 2.1 times per month compared with 3.4 times per month. The survey included people who attempted Dry January, but did not necessarily abstain for the entire month. You will probably save money. Picture this — you’re at the bar with your friends, getting your bills. While everyone fishes out their credit cards, you slap down $10 for a couple of sodas and a nice tip. It’s a nice feeling. In the online survey, 88% of people said they saved money. Nice! This is a good time to assess your relationship with alcohol. Dr. George F. Koob is the director of the National Institute on Alcohol Abuse and Alcoholism. He told BuzzFeed News that you should pay attention to how your body feels during the month, because it will tell you a lot — especially if you feel better. “That’s a signal to watch for, do you feel better? Do you work better? Do you spend more time with your significant other? More time with your kids?” said Koob. Completing a Dry January doesn’t mean you don’t have a problem with alcohol. There’s this idea that doing a Dry January “proves” that you and alcohol get along just fine. But that doesn’t hold water. Dr. Koob said drinking patterns associated with an alcohol use disorder can vary widely. You can be someone with a drinking problem who only drinks on the weekends, but still have a problem with binge drinking. Just because you don’t feel terrible during January doesn’t mean you’re okay. “All of these are different patterns and it doesn’t mean you’re going to show the full-blown physical withdrawals everybody talks about,” he said. About 16 million people in the US have an alcohol use disorder, which is defined by the American Psychiatric Association and can be mild, moderate, or severe. The impact of a Dry January can be highly individual, and depend on how much you normally drink and your relationship with alcohol. 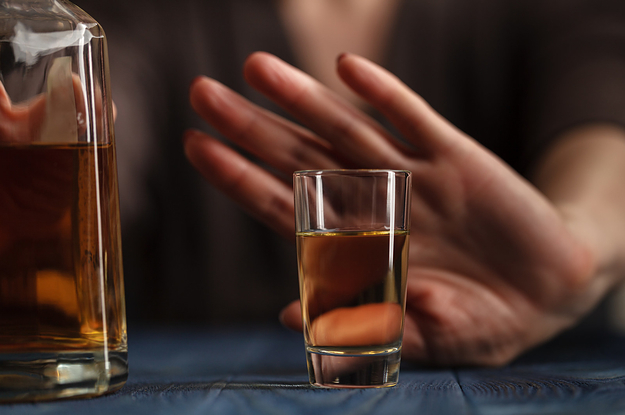 The chances of having an alcohol use disorder are thought to be low for women who have no more than seven drinks a week, and no more of those than three in a single day. For men, it’s no more than 14 drinks per week, and no more than four in a single day, according to the National Institute on Alcohol Abuse and Alcoholism. That’s not to say that people who do drink within those guidelines don’t ever have a problem with alcohol, it’s just that the risk is lower than those who drink more. If you’re a light or moderate drinker, a Dry January may not feel like that big of a deal. But if you are a heavy drinker, you should talk to your doctor before going cold turkey. Alcohol withdrawal is a real and potentially life-threatening problem that can occur in heavy drinkers who stop abruptly. Even if you are a light or moderate drinker, you may feel cranky and stressed. Many people drink as a way to relieve stress or get to sleep easier, even if they’re not consciously doing it. Take away the alcohol, and suddenly you have to deal with those issues. “Your brain arousal and stress systems are activated when you stop drinking,” said Koob. So you’ll probably want to find some replacements. If drinking was your stress relief, it’s a good time to find a healthier coping mechanism. Here some easy ways to feel less stress. You may also find it helpful to literally replace alcohol with another drink — how about some fun-flavored sparkling water? Some experts recommend putting as much time and energy into a non-alcoholic drink as you would a cocktail, mixing fruit and other ingredients together to create a satisfying, alcohol-free experience. But you might also actually sleep better. Koob said alcohol can help us get to sleep, but it’s really bad at helping us stay asleep. In the University of Sussex survey, 71% of people said they slept better; and 67% said they had more energy. Keep in mind though, that you may not get a ton of support from some friends or family members. Sadly, other people may not always be so supportive of your Dry January ambitions. Mentioning it may ruffle the feathers of those who aren’t doing it, and some people may even try to sabotage you. Maybe they feel you’re judging them, they just don’t understand your motivations, or feel threatened by the fact that you are examining your own relationship with alcohol. I’ve never got dry January. Surely it’s not hard to give up drinking unless you have a problem? Just remember that you don’t owe anyone an explanation for why you’re going dry. Just sip your soda and smile. So it may be a good idea to do it with a buddy. You may be more successful if you can do a Dry January with a friend, partner, or co-worker. That way you have someone to commiserate with if times get tough. And research suggests that any life change you might be making for health reasons is more likely to be successful if you have friends to help you through it. And finally, you might feel really good about yourself for trying it. In that survey, 93% of participants said they had a sense of achievement after completing a Dry January. Not a bad way to start a new year.